In this laboratory genes, gene families, and genomes are investigated from the evolutionary point of view. 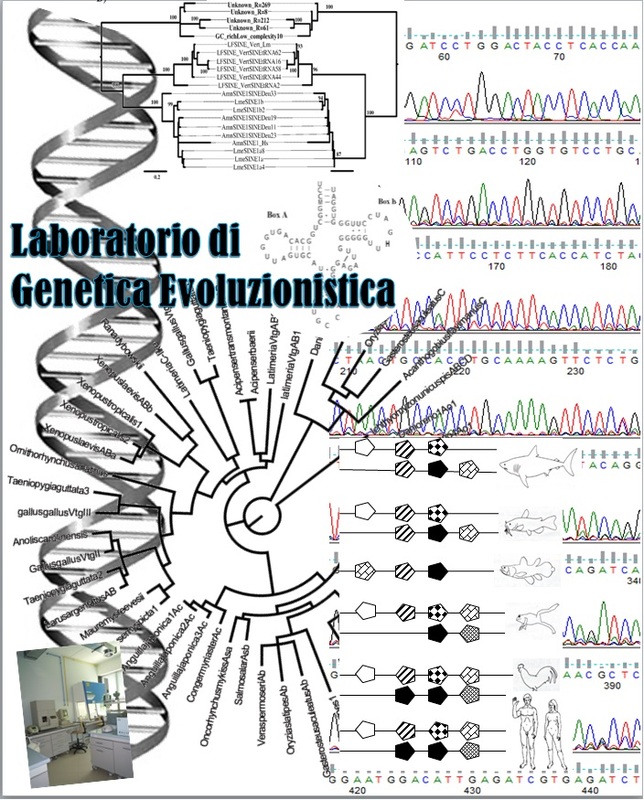 Moreover the genetic and molecular aspects of the evolution are analysed. Bioinformatic tools such as databases of gene and genomes, dedicated software, and molecular methods such as purification, amplification, cloning, sequencing, and gene expression analysis by real-time PCR and RNA Seq are methods commonly employed. • Characterization and evolution of Hox and ParaHox genes in the phylum Mollusca. • Molecular phylogeny of molluscs belonging to the family Pectinidae (Mollusca: Bivalvia). • Evolutionary studies of vitellogenin genes in marine vertebrates. • Identification and characterization of genetic markers of pluripotency in adult stem cells and fetal mammal.